PIERRO (AUS) (Bay 2009-Stud 2013). 11 wins-6 at 2-from 1000m to 1600m, ATC Golden Slipper S., Gr.1. Out of a half-sister to SW Laverock. Leading Aust. First Season Sire in 2016-17. Sire of 98 rnrs, 43 wnrs, inc. SW Pinot (VRC Oaks, Gr.1), Pierata, Levendi, Tulip, Satin Slipper, Kentucky Breeze, Roy Had Enough, SP Poseidon's Pool, Canyonero and of Perfect Pitch, Arcadia Prince, Femme Fireball, Action, Aeecee Tong De, Amanito, Aqua d'Ivina, etc. His oldest progeny are 3YOs. GREEN ROLLER, by Flying Spur. 5 wins from 1600m to 2400m, A$200,330, TRC Strutt S., L, MRC Deadly Design P., Le Pine Funerals H., MRC (Mornington) Download Sportingbet App H., 2d MRC Hayman P., MVRC The Drain Man H., Sportingbet P., 3d VRC Galilee Series Final H., L, MRC BMW H., Elephant & Castle Hotel H., MRC (Mornington) A Positive Move H., VRC Reduce Reuse Recycle H. Half-sister to Bequests (dam of UGO FOSCOLO). Dam of one foal. GREEN ROLLER (Flying Spur). 5 wins. See above. Miss Chaparral. 3 wins from 1150m to 1650m to 2017-18 in Aust. Taxi Joe. 3 wins from 2000m to 2200m in Aust. UGO FOSCOLO (Zacinto). 5 wins-2 at 2-from 1100m to 1600m, NZ$348,125, A$5,000, to 2016-17, New Zealand Two Thousand Guineas, Gr.1, Waikato RC James & Annie Sarten Memorial S., Gr.2, Hamilton Vets Equine S., L, Hawkes Bay El Roca Sprint H.
Sopraffina. 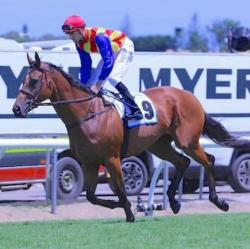 Winner at 1000m in Aust. Jeram Clipper. Winner at 1400m, Singapore TC Singapore Airlines A380 Sydney S., 2d Singapore TC Good Deeds S., Benchmark 67 H., Benchmark 53 H., Panasonic Digital Signage S., Kranji D S., 3d Singapore TC Class 4 H.
GIVEN (Canny Lad). 5 wins. See above. Simplest (Choisir). 9 wins to 1200m, A$261,050, QTC Family Nightclub H., BTC Starlight Childrens Foundation H., Clark Air & Climax Air H., Control Logic H., Qld Tatt's RC Sky Channel H., QTC Driver Recruitment H., 2d QTC Dr John Power H., L, BTC Getintoracing.com.au H., Nestle H., MRC Ladies' Day P., BTC Carlton Draught H., MRC Over H., Starover 2YO H., 3d MRC Chairman's S., L, BTC Tate Mason the Good Guys H., 4th AJC Shorts H., Gr.2. Amazing One (Canny Lad). 7 wins at 1200m in NZ, Aust. and Macau, Macau Golden Group Fat Choy Cup, MVRC Mornmoot Stud H., Hawkes Bay Aon Insurance Brokers H., MVRC Slade Bloodstock P., Waikato RC Align 3YO H., 2d Macau Race Horse Owners Association Cup H., Macau Aveiro H., Iloilo H., Alex Dancer H., HKJC Cheung Sha H., Sunset Peak H., 3d ARC Newmarket H., L, Waikato RC Sprint H., L, Macau Asuncion H., Bury H., 4th Avondale JC Concorde H., Gr.2. My Obsession. 3 wins to 1500m, A$130,895, MVRC Allfloors Carpet Gallery H., 2d MRC Ladbrokes Odds Boost H., MRC (Mornington) Stellice Building Group H., MVRC Schweppes Lemonade H., WT Partnership H., 3d MRC Joe Chila Memorial H., Follow at WillHillWolf on Twitter H., MVRC LF Sign Group H., Alternate Railway H.
Infatuation - Aslan (Mal.). 2 wins-1 at 2-at 1200m, 1750m, MRC Toy Show 2YO H., 2d SAJC Tony Vizzari 70th H., 3d SAJC Polytech H.
Frenetica. 3 wins at 1400m, 1600m, A$91,503, MRC Bert Bryant H., American Car Parts H., 4th MRC Angus Armanasco S., Gr.2, SAJC Laelia S., L.
ALERT ME (Genghiz). 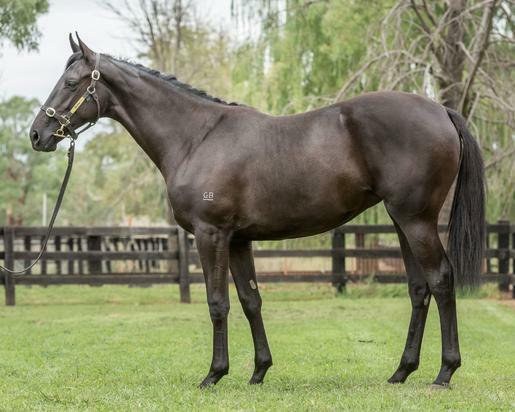 9 wins from 1150m to 1600m, A$285,910, STC Frederick Clissold H., Gr.3, AJC Kingster H., STC Thimble Welter H., AJC NJ Barker H., 2d STC Canterbury S., Gr.2, 3d AJC Hall Mark S., L.
YOU'RE CANNY (Canny Lad). 4 wins-3 at 2-to 1200m, A$221,785, Canberra RC Black Opal S., L.